Anaheim Convention Center, Anaheim, CA Nature's Agave is exhibiting for our 6th year at Expo West in Anaheim. This year, we are focused on featuring our latest GoSweet line, as well as products from our partners. Stop by our booth, #4148, and sample gluten-free pancakes from The Pure Pantry, topped with our rich Maple Agave Syrup. We are also featuring samples of Tommy's Margarita Mix, the only all-natural cocktail mixer. Made with 100% pure ingredients sourced from Tequila, Mexico, Tommy's Margarita Mix makes it easy for you to enjoy anywhere, anytime. 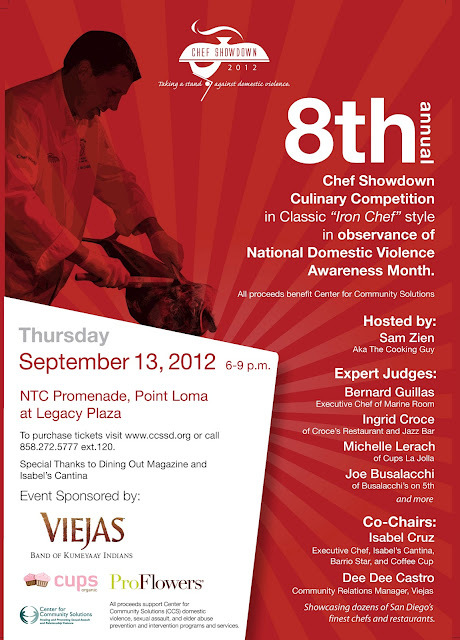 Don't miss the 8th Annual Chef Showdown, hosted by Center for Community Solutions. In Iron Chef style, two teams of SD chefs and sommeliers will create appetizers, entrees, desserts, paired with cocktails for panel of judges. Nature's Agave featured mixologist and all around nice guy, Jeff Josenhans (sommelier and manager from Grant Grill) will be competing with fresh creative cocktails featuring an array of Nature's Agave Premium Nectars. Always a great time, amazing food, and the entertainment of watching San Diego's best. Enjoy gourmet cuisine, beverages from local restaurants and wineries. For more information, click here. Imagine making sugar conscious desserts, sauces, and dishes without spiking your blood sugar levels or your kid’s too for that matter! Nature's Agave is a low glycemic food and has a low glycemic index of under 20. Join Gluten-Free, Sugar-Free Chef Kelly Keough to learn new gluten-free, sugar free recipes featuring organic foods found inside Whole Foods. Kelly's recipes feature Nature’s Agave due to its luxuriously smooth, sweet taste and a glycemic index of 17. Kelly educates customers on agave syrup, showing easy ways to use it, and answers any questions regarding how Nature's Agave Premium Agave Nectar is minimally produced from a succulent plant grown in Mexico. Here is Kelly's current demo and class schedule for August 2011: August 2 - Whole Foods, Tarzana, 4-7 pm August 5 - Whole Foods, 3rd and Fairfax, 11-2 pm August 19 - Whole Foods, Glendale, 4-7 pm August 20 - Whole Foods, Pasadena, 4-7 pm August 22 - Whole Foods, Porter Ranch, 4-7 pm August 24 - Whole Foods, Woodland Hills, 4-7 pm August 26 - Whole Foods, Beverly Hills, 11-2 pm August 30 - Whole Foods, West HW, 4-7 pm August 31 - Whole Foods, West LA, 11-2 pm Whole Foods, Venice - Date to be scheduled - check in store for the latest schedule. The internationally acclaimed festival of cocktails, cuisine and culture returns for its ninth year in New Orleans, July 20-24, 2011. It's only fitting that New Orleans, the birthplace of the cocktail, serves as the permanent home of Tales of the Cocktail. The narrow French Quarter streets that gave rise to the Sazerac and the Ramos Gin Fizz, provide the perfect backdrop of history and culture for the annual affair. Nature's Agave is the exclusive agave nectar sponsor of this influential, trendsetting event featuring premium spirits and top rated mixologists. If you're in San Diego this weekend, head on over to the iconic Seaside Market in Cardiff to sample high quality, local products and meet many of the local companies in person. Nature's Agave has been invited to showcase our agave, and we will be there sampling all three varieties. Come join us from 2 pm to 7 pm, sample some great food, and meet the founders of Nature's Agave. Join us for Henry's Farmers Markets annual Wellness Fair and meet the people behind the brands you love. This year will be bigger than ever with even more vendors, and as always, there will be free food tastings, natural product samplings, health screenings, fitness demonstrations as well as a children's zone. Stop by and sample Nature's Agave Premium Nectars, and meet the company founders to learn more about this special agave. We'll have cool giveaways, "Pour Some Agave On Me" stickers, and amazing recipes to hook you up. You’ll hear from experts on the topics you’re interested in - such as losing weight permanently without fad diets, living with celiac disease and gluten free diets, sustainable seafood and controlling blood sugar for good health. Includes more than 50 exhibits with free food tastings, natural product samplings, health screenings, fitness demonstrations and even a fun kid’s zone for the little ones. So grab your friends and join us for a fun-filled, informative event. Tickets are available at any San Diego Henry's location for $10 or purchase them on the day of the event for $15 at the door. 08/18/10: Dining Out Magazine & En Fuego Del Mar Present: Off To The Races! Join us August 18, 6-10pm for a spectacular art show by internationally-acclaimed Artist Michael Flohr, featuring a silent auction benefiting Helen Woodward Animal Center in Rancho Santa Fe. Nature's Agave Premium Nectars will be teaming with San Diego's top mixologists to create signature cocktails for the evening. Premium tequila brands Fortaleza and Chinaco are also featured, as well as wine tasting and amazing Mexican cuisine from En Fuego. 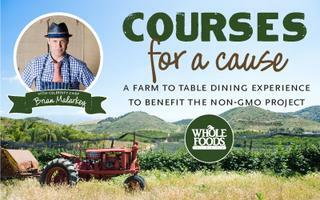 Tickets are $55 - for reservations, call 858.792.6551. Here's a great chance to get down to Moonlight Beach, check out San Diego's best surf talent, taste Nature's Agave Nectars (a portion of proceeds go to StandUp For Kids), and listen to well known local and national bands. Nature's Agave is thrilled to participate in the 6th Annual Switchfoot Bro-Am surf contest and concert, which returns to Moonlight Beach in Encinitas on Saturday, June 26, 2010. An annual event near and dear to Switchfoot's hearts, the Bro-Am was created to give back to the San Diego community while benefiting a local children's charity through funds raised at a pre-event auction night, as well as from vendors on the beach day-of, sponsorships, and an after-party at the Belly Up Tavern. This year's event will again benefit the San Diego and Oceanside chapters of StandUp For Kids, a national nonprofit volunteer outreach organization dedicated to making a difference in the lives of at-risk, homeless, and street kids. Learn more at: www.standupforkids.org Last year's performers included Switchfoot, Tristan Prettyman, Timmy Curran, The New Archaic, The Howls, Indivision, and Jane Carrey Band. Check it out at Switchfoot's website. Come Celebrate CDF’s 20th Anniversary. We'll be there, so stop by the Nature's Agave booth for a pairing of our premium agave nectar drizzled over The Pure Pantry's gluten-free Buckwheat Flax Banana Pancakes with Pecan-Agave Butter. We'll also be serving The Pure Pantry’s gluten-free Dark Chocolate Cake paired with Chocolate Agave Frosting made with Nature’s Agave Premium agave nectar. Yummy and gluten-free! 04/03/10: No Wheat, No Dairy, No Problem! “No Wheat, No Dairy, No problem!” Gluten-free and dairy-free doesn’t have to mean taste free! Explore the wonders of gluten-free cooking using some of the top super foods with Chef Elizabeth Kaplan, owner of the Pure Pantry. Features gluten-free Key Lime Pie dessert recipe using Nature's Agave Premium Nectar. 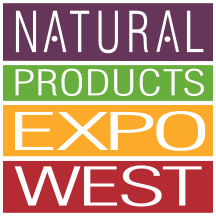 Attended by more than 53,000 industry professionals from across the globe, Natural Products Expo West is the premier trade show for the healthy products industry. We're launching our new retail line of premium agave nectars at the Expo. If you're attending the event, please stop by our booth (#5228).